Fallen longitudinal arch refers to an instep flattened so the entire sole rests on the ground. 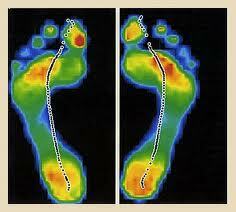 Flat feet can cause disabling foot pain as well as knee pain, shin splints, achilles tendonitits, and plantar fasciitis. Dr. Michael Horowitz offers a 5-Step process to successfully treating Fallen Longitudinal Arches. He can help evaluate & diagnose your condition and recommend the best course of action for you. Call Vancouver Orthotics at 604-737-3668 for more information. What is the most effective treatment for fallen longitudinal arches? What exercises & stretches do you recommend for fallen longitudinal arches? What other symptoms are most commonly associated with fallen longitudinal arches? What shoes are best for fallen longitudinal arches? Where can I get medical hardware for fallen longitudinal arches?